Anatolien. (with Cyprus) - SANSON, N.
Title : Anatolien. (with Cyprus). Size : 7.2 x 9.1 inches. / 18.3 x 23.1 cm. 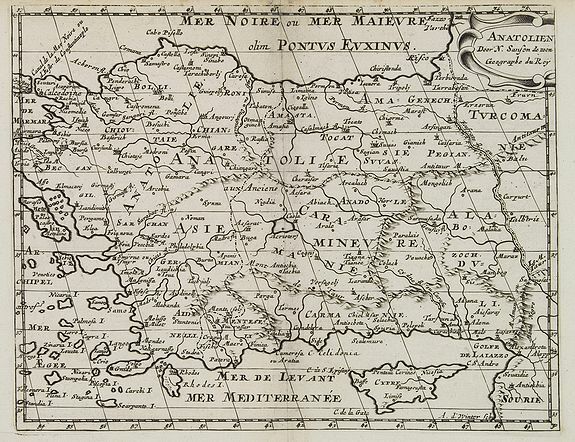 Description :A Dutch edition of Sanson Jr.'s map of Turkey. In lower right corner an over sized Cyprus. Engraved by Anthony d'Winter. Condition : Upper margin cut close. Paper slightly age-toned.